Do you want DIRECTV in your big rig or fleet of tractor-trailers? That’s great! 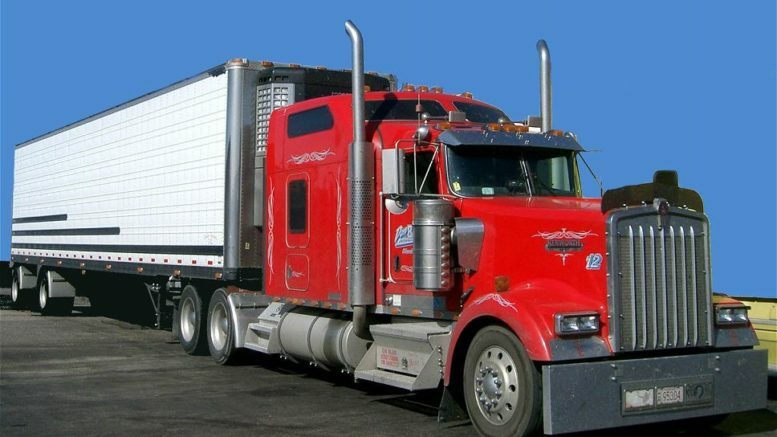 Now let Signal Connect help you get DIRECTV for big rigs the right way. Over-the-road truck drivers spend long hours making sure America’s commerce proceeds on time. During their downtime, many truckers would love to catch up on their favorite news, sports, weather, and entertainment. Truck drivers who enjoy DIRECTV in their cabs probably got their service from Signal Connect, a DIRECTV Authorized Dealer. Those who tried to install satellite TV in their big rigs, or contacted DIRECTV themselves, might still be waiting to find the signal. Let us tell you why it’s best to trust Solid Signal when you want DIRECTV for semi trucks or big rigs. There have been more than a few truckers who’ve called DIRECTV to get the satellite TV service in their rigs. There’s a good chance they’re still on hold, too! DIRECTV is a huge corporation that fields thousands of calls an hour. Sometimes they don’t have time to talk to truckers like you who want satellite TV in their big rigs. Other times, truckers get transferred from one department to the next in their search to get DIRECTV in their cabs. If you do manage to get hold of the right person, you’ll quickly find out that DIRECTV doesn’t install its satellite dishes in big rigs. You could damage your cab, which you use to earn a living, trying the DIY approach. Solid Signal has heard far too many horror stories about truckers who installed satellite TV in their big rigs the wrong way. We don’t want this to happen to you. You have access to all of the top-name mobile satellite dishes we carry. A professional satellite dish installer who specializes in big rigs will do your installation.Signal Connect will get your DIRECTV service connected quickly and easily. Someone from Signal Connect will serve as your personal account representative. If you have a question or need help with your DIRECTV service at any time during your contract, you call us directly and we’ll take care of it. If your big rig needs a CB radio and/or cell phone signal booster, we can match you with the equipment you need and the right person to install it. If you’re a trucker or own a trucking company, it’s in your best interests to get DIRECTV in your cabs. Watching your favorite shows while on the road is a great way to spend your rest times, and DIRECTV offers a huge selection of news, sports, weather, and entertainment. It’s time to get the very best in satellite TV entertainment from DIRECTV and Signal Connect. For more information, call us at 866.726.4182 or visit our DIRECTV solutions for big rigs page.